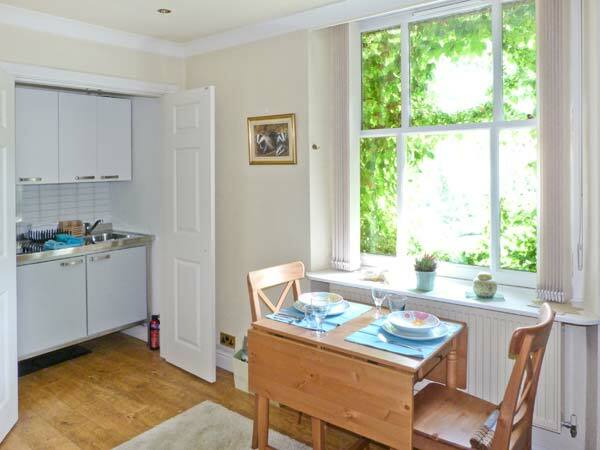 Upper Tweenways is a cosy first floor apartment set in Ambleside in the Lake District. With one king-size double bedroom plus one bathroom, this apartment can sleep two people. The apartment also includes an open plan living area with kitchen, dining area and sitting area. Outside is off road parking for one car. 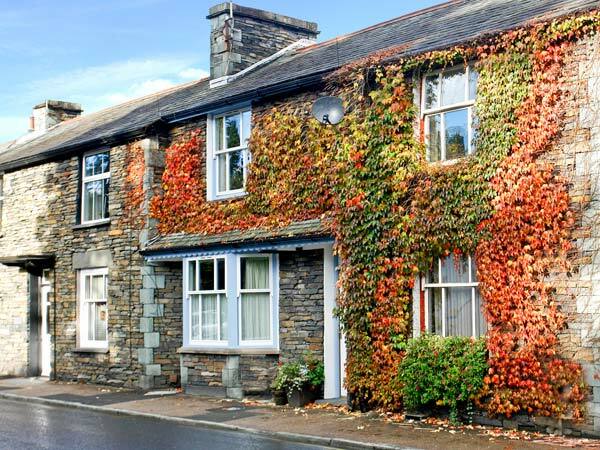 Upper Tweenways sits in a fantastic location, with Ambleside's amenities just a few minutes' walk away, plus with all the attractions of the Lake District National Park within easy reach, couples are sure to love this compact, cosy base. All first floor. One king-size double bedroom. Bathroom with bath, shower over, basin and WC. Open plan living area with kitchenette, dining area and sitting area. Gas central heating. Electric 2-ring hob, combination microwave/oven, fridge, TV with Freeview, DVD. Fuel and power inc. in rent. Bed linen and towels inc. in rent. Off road parking for 1 car. Sorry, no pets and no smoking. Shop and pub 2 mins walk.